We introduce an update of a map of adventure that has been modified for this latest version of Minecraft, adding new functions of the command block and some aesthetic changes. 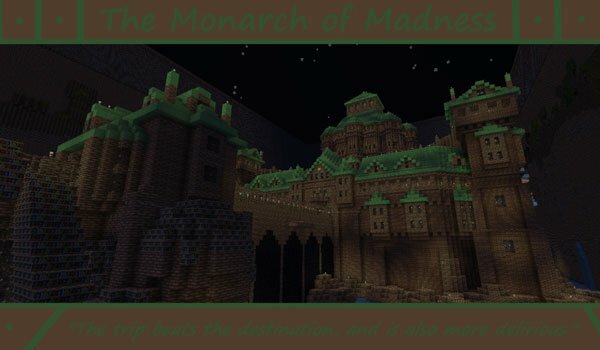 In Monarch of Madness 1.6.2, we will be known as the monarch of madness and the story begins at the moment we wake up in the castle it’s in this picture, after a dream of 50 years not remembering anything. All that remains of this epoque are some notes our butler wrote, while dealing of you. Find out what happened long time ago. ¿How to install Monarch of Madness Map for Minecraft 1.6.2? Start a new available adventure!